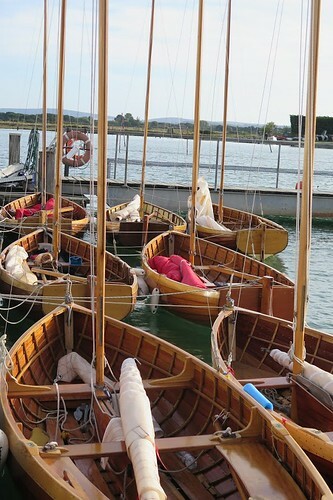 Five Axmouth based AODS – No.s 1, 8, 21, 22 & 24 joined the two Beaulieu based AODs No. 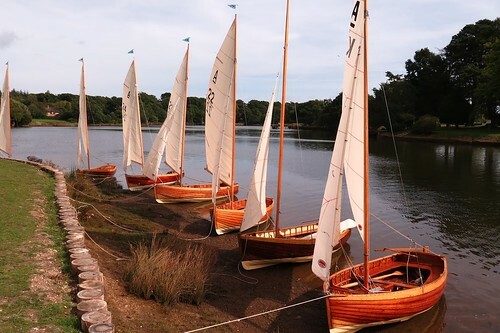 6 & 23 for a late summer weekend of ‘messing about in boats’ on the Beaulieu River (Sept 15th/16th). 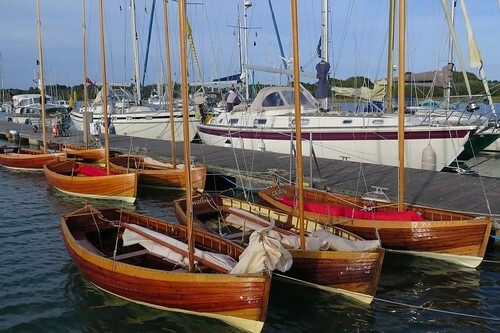 Once again we are indebted to the RSYC in allowing the fleet to launch and berth at Gins. As in previous years we coincidentally coincided with the Solent C.A. Rally, which inevitably lead to an enjoyable dinner and entertaining evening at Gins! 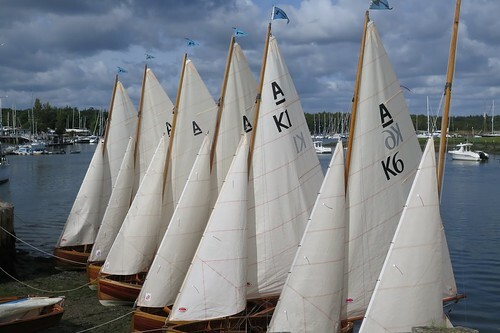 Conditions this year were fresh from the south west, providing ample wind to sail up to Beaulieu village and for one, No.22 a brief sail out into the Solent. A thoroughly enjoyable weekend.